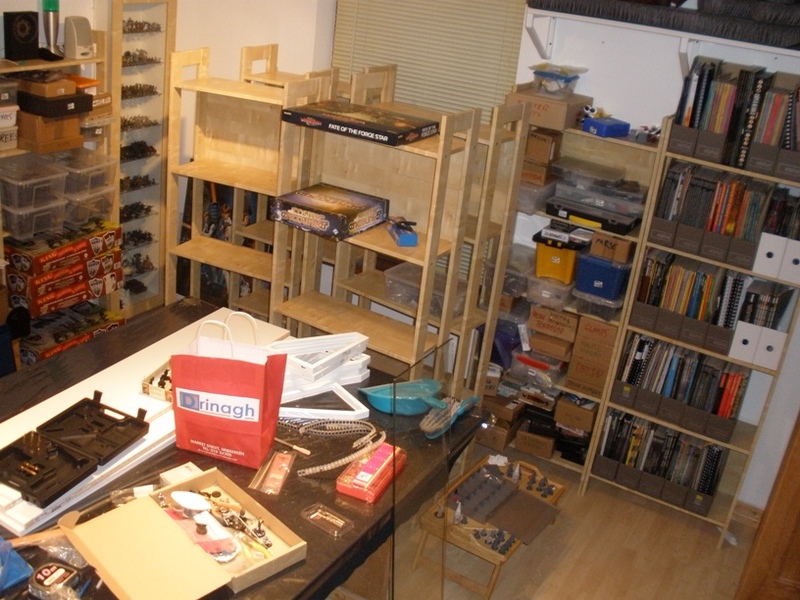 Having that room in such a mess means that I haven’t been able to get much actual hobby stuff (rather than hobby related stuff) done. This state of limbo will likely continue for the next week or two, which is a a pain. 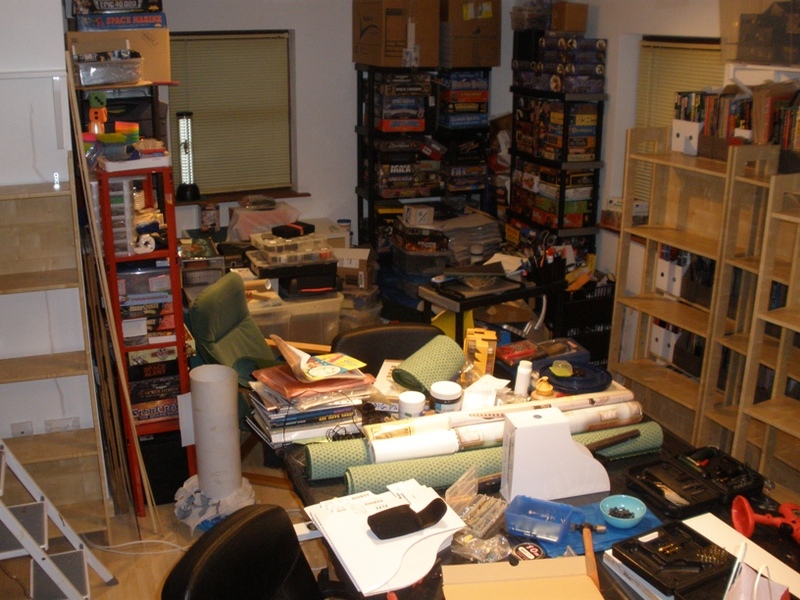 At least it will mean that my major work space will be prepped and ready to go for during my Xmas holidays and into 2012. Hopefully I will have something more interesting finished and photographed to put up next week. After playing our game of JDMG (covered last week) MT, PB and I decided to give In the Emperors Name a go on the same terrain set-up. As a bunch of gamers who have played their fair share of 40k in the past, cant stomach it now but still read some of the fiction and paint the occasional 40k figure, we really wanted this ruleset to work out. The first hurdle was picking the forces, which was very finicky. PB had even prepared a spreadsheet to help to make this step as hassle free as possible, but it was still a drudge. Having to prepare a spreadsheet should have been our first warning I suppose, but as ItEN is a free, fan written set we were prepared to put in a little more effort to get it to work. 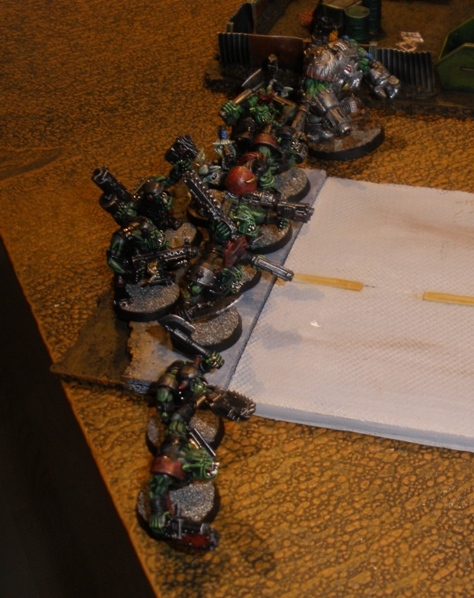 I never played orks in 40k but as I have painted up a few over 2011 I decided to go with them for this game. They proved to play quite differently in comparison with the elite forces that MT and PB chose. MT painted up his Harlequins a couple of years ago, primarily for use with Space Hulk. A small elite group of elven ninja cabaret struck him as perfect for use in a 40k skirmish setting. PB dug out a Librarian and Tactical squad of his “Dark Souls” chapter out of storage. It was fun to see those guys again as I faced them across many miniature battlefields over the years. 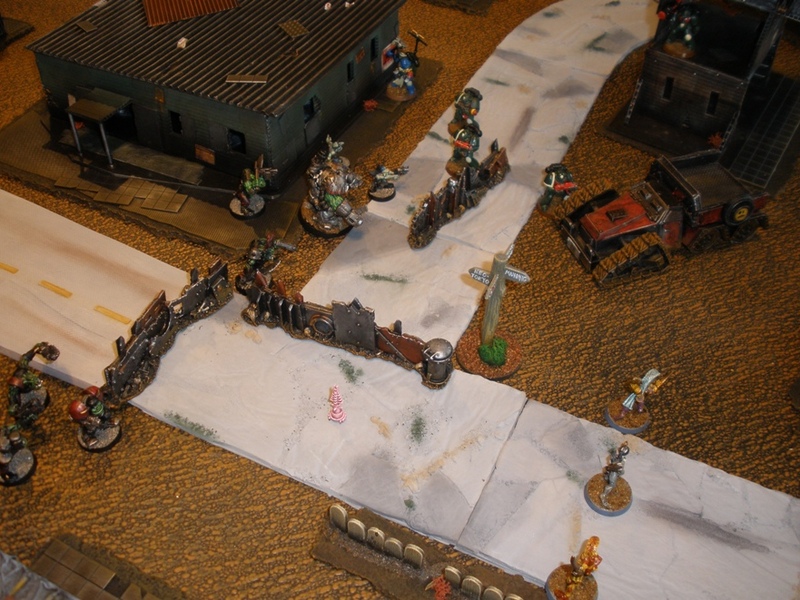 The three forces set up equidistant from a Maguffin (the suspicious looking pink thing on the road in the bottom left of the picture above) and we spent the game converging on that. As it happened our three forces each engaged both opposing forces in some fashion or another as the game progressed. This was very much a first game of the system where we tried to get a handle on how the rules work while playing, so some silly oversights and mistakes cropped up, as was expected. Due to the ineffectiveness of their ranged weaponry the orks ended up in close combat with the Dark Souls a little earlier than I liked. MT capitalised on this with a well timed psychic attack from his Warlock that put my Boss at a disadvantage. 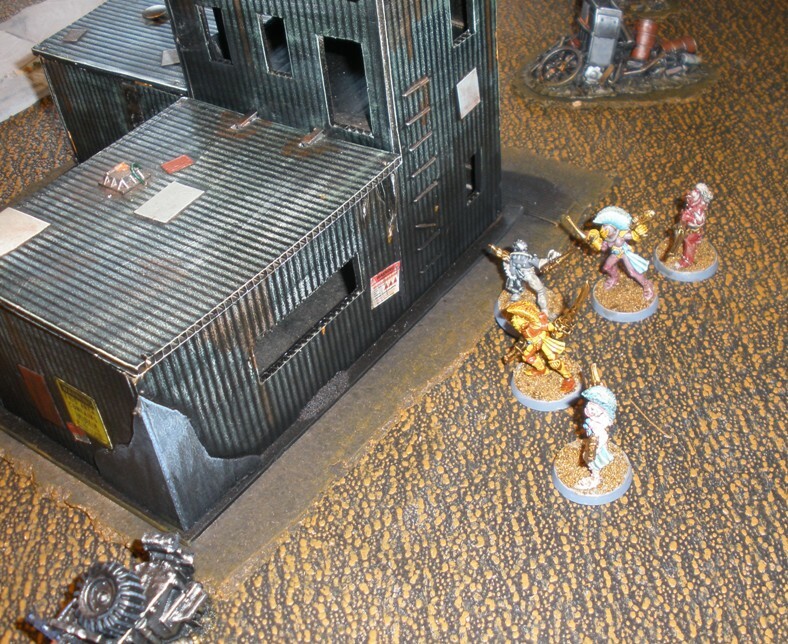 That allowed the Dark Souls to get an edge in the combat and prolong it for long enough to allow the Harlequins to escape with the objective. In the Emperors Name is available for free download here. 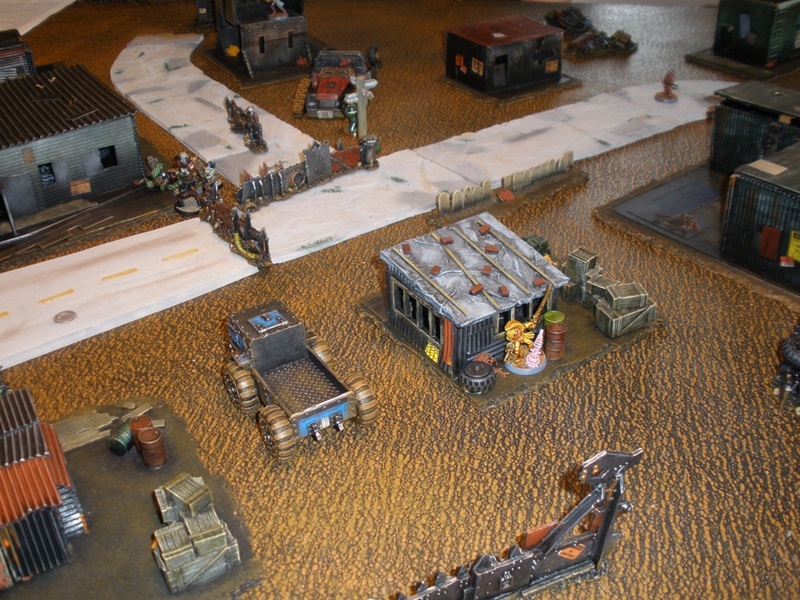 ItEN is an unofficial fan made rule set for playing skirmish games set in the Warhammer 40000 universe. Considering how many people get into the hobby via 40k who enjoy the setting but get disillusioned by the relentlessly poor quality of the official rulesets, I think that there is a lot or room for a system that covers this area. 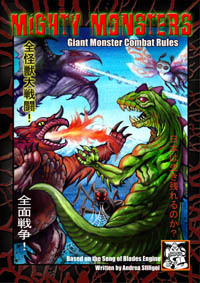 The rules have obviously been written by players enthusiastic about the setting and miniatures. This shows in the large number of interesting and sometimes satisfyingly obscure warbands and retinues available. Unfortunately though, the system didnt appeal to my group once we played it. It probably deserves another go but with so many possible rulesets vying for my limited gaming time, I cant imagine ItEN getting another tryout. The rules felt restrictive compared with other sets that we have played recently. 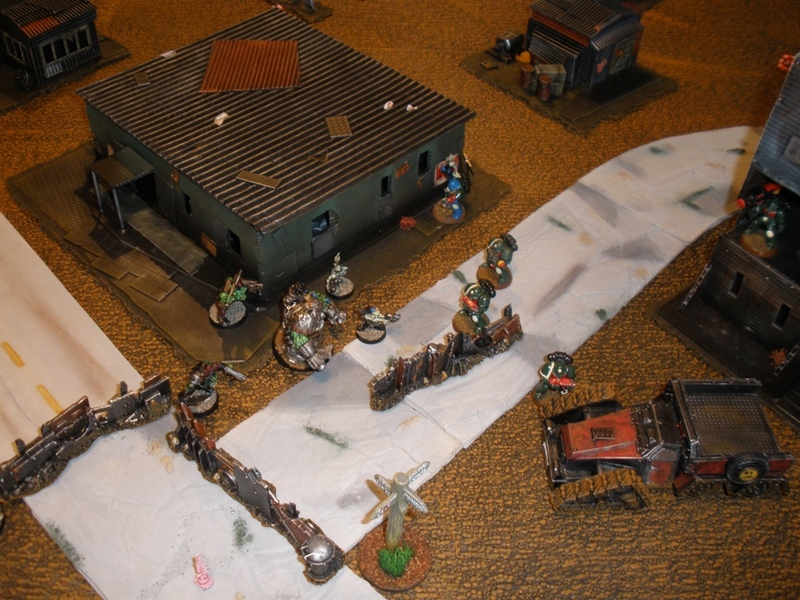 While it is quite possible that we missed some of the subtleties of the system (we did only play one game after all) in many respects ItEN reminded me of the negative elements of playing small games using the official 40k rules. Basically the game seemed largely preordained. Manoeuvering wasnt really much of an option and the timing and location of the big dice rolls could be predicted with certainty before the game even started. A number of factors contributed to this, not least the scenario. But the predictability is just too severe for our tastes. We had a couple of other problems too, but I wont bother going into those. I dont particularly enjoy ripping into a fan based free ruleset, particularly when the guys who put it together have put so much time into it and so obviously have affection for the source material. PB and MT visited a few weeks back for a gaming weekend. In addition to the boardgames that we had planned we also wanted to get a game or two of the Judge Dredd Miniatures Game and In the Emperors Name played. I have been preoccupied with a number of non-toy soldier related issues for the last couple of months. Some of the distractions have been dull real life things but others (like a holiday in the US and various Xbox things) have been very pleasant. The downside of course is that the hobby stuff suffers. 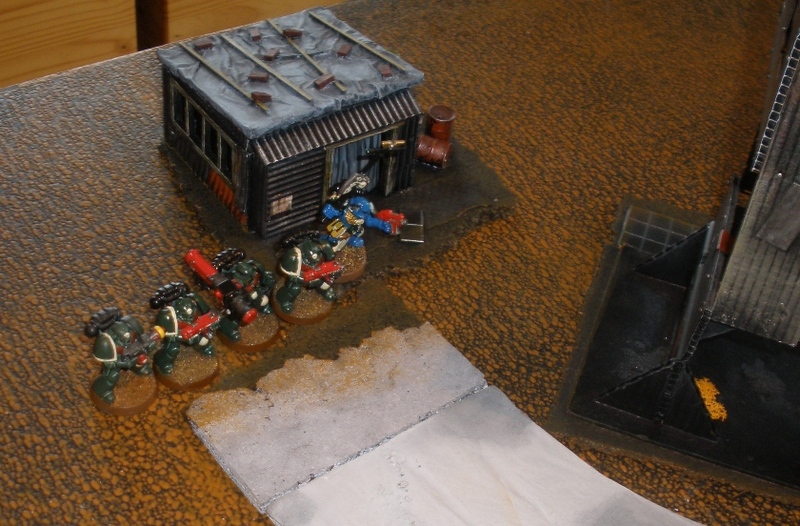 In response to this and in the hope that it will get my juices flowing I decided to do a round up of the hobby things that I have done in 2011 so far, in roughly chronological order. Click on the pictures to go to the relevant posts for further details. Things got off to a rocky start (sorry) with the quick bits of terrain above. Goofy and more than a little crude I have got good use out of them and they are eminently practical. Next up were some more Left 4 Dead inspired zombie characters. Nice Tengu miniatures with paint jobs that vary from “adequate” to “quite nice really”. One of the most successful projects that I finished this year involved these guys. I got a lot of positive reaction to them and while they became a bit of a drudge by the end, I am very happy with the finished batch. One of the bigger sub projects that I got stuck into this year was the fort shown above. That is exactly one quarter of it actually, the thing is massive. There are a few things that I would do differently if I did it all over but largely I am pleased to have finished it. Or at least, nearly finished it. I ordered some suitable bits and pieces to cover the cruciform windows recently, so a minor update to this will happen soon, probably early in the new year. Keeping with the post apocalyptic theme I retouched and varnished my giant mutant rats in May or so. I also added some creepy crawlies and a few tents. 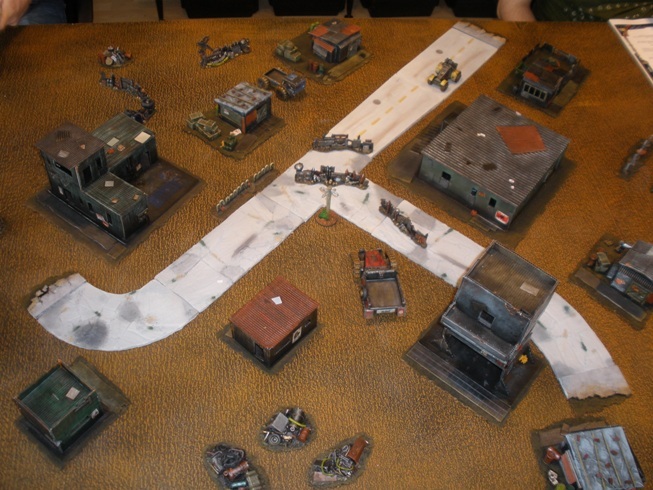 …plus some post apocalyptic objective markers. 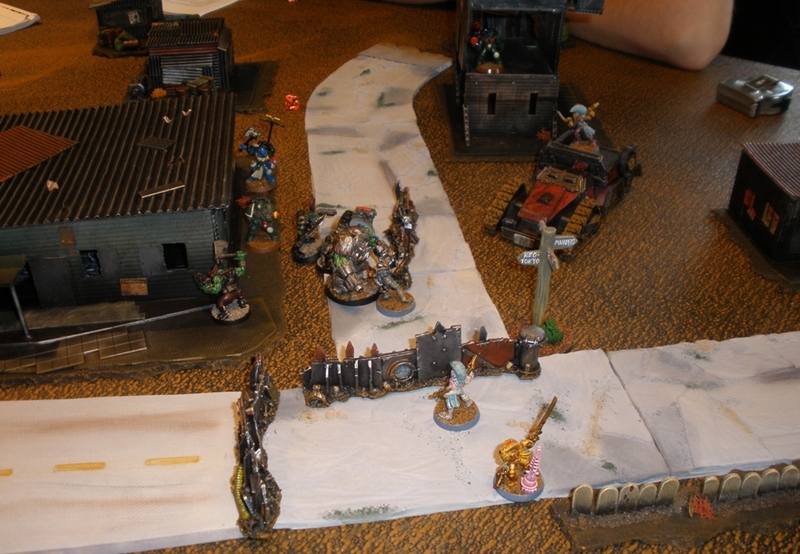 Running concurrently with the rats, the fort and some other things was the Gorkamorka project. Lots of orks in other words. No group shot yet though. Painted alongside the orks were some post apocalyptic vehicles for them to ride around in. The post apocalyptic stuff kept on coming, with development of my PA shanty town, “Standard Falls”. The photo above doesnt really do the buildings justice: they look quite nice on the table together. So thats what I have managed to get done so far this year. Its a pretty respectable amount I think, amounting to ~100 miniatures and ~45 terrain items. Considering that I have done nothing since early August (plus have to go to work and sleep and all of those other boring things) its a pretty decent chunck of geek stuff. Its a Judge Dredd game set in the Cursed Earth up for posting next week.